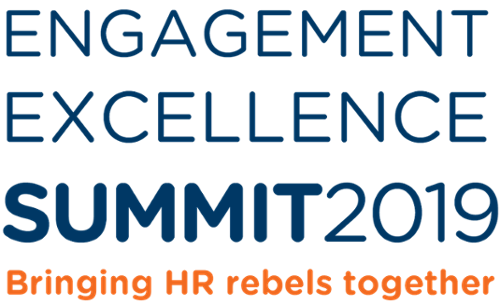 This week, we're excited to welcome more than 350 HR rebels and leaders to our inaugural Engagement Excellence Summit. We'll take over the Brewery with 30+ amazing speakers to educate attendees on building a great reputation as an employer, championing colleague engagement through technology and creating an amazing wellbeing strategy (among other topics). Even though the event is sold out, we'll release some of the featured content around the breakout sessions here on Reward Gateway after the event in the coming weeks. To get you singing the tunes of rebels around you, we're counting down to the summit with a Speaker Spotlight on just a few of the rebels we're welcoming to the stage. We've got some of our speakers to answer a few questions so we can get to know them a little better. How to identify early adopters and champions to get people on board. How Inspired Villages embedded a new purpose, mission and values in order to bring long-term benefits to employees and customers. How to collect feedback from key stakeholders and your workforce. 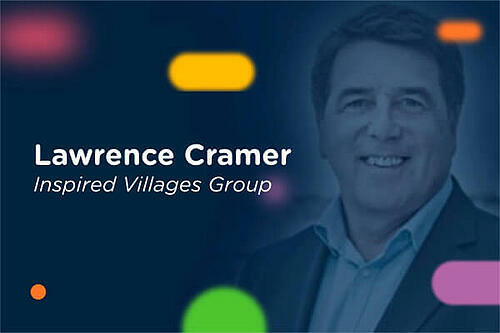 Lawrence is a rebel with a proven record of implementing change in several businesses over the past 15 years. 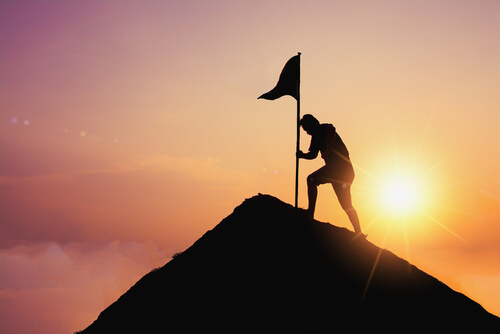 A firm believer in challenging the status quo, combined with engaging people to embed change, identifying efficiencies and the business drivers needed to achieve success. Who is your favourite rebel? There are so many I could choose from. I’m drawn to explorers who push boundaries, putting their lives on the line and that of their teams. Bringing together people from diverse backgrounds, engaged in a vision and shared purpose; People such as Earnest Shackleton, Ranulph Fiennes and Chris Bonington. I would recommend Fienne's book "Mad, Bad & Dangerous to Know." He was awarded the OBE for "Human Endeavour and Charitable Services" because on the way to breaking many records he raised over £10m for charity. At Inspired Villages we have set a target of raising £1m over the next 5-10 years. What's been the best moment on your engagement journey so far? It would be our current experiences at Inspired Villages. We decided those special birthdays (with a 0 in it), would get a personal birthday card from the CEO with a voucher to the value of their birthday and give them the day off too. It always generates an amazingly positive response and brightens up an employee's day/week/month. What's the next summit on your horizon? Training for a 600 mile charity bike ride in May and engaging with our residents to join in (average age 79) on fixed bikes. Hence we have called it the 1,000 mile challenge. What’s really great is that our partners are going to join us on the really hard slog, including amazing people from RG such as Dominic Taylor and James Docherty. There, it’s out now so no turning back. If you were climbing Everest and about to reach the summit, what would your victory song be? 1. Right Here, Right Now – Fatboy Slim (camelphat remix) It is so pumped up that when you reach to top of the world, apart from being shattered and emotional it would give you an injection of energy. 2. Heal the World – Michael Jackson – Bringing the pace down, looking out, from the top of the world, wouldn’t it be great to live in a world where we could all make it a better place? 3. Papa can you hear me – Barbra Streisand – My father passed away 22 years ago. He retired to Ireland. I would visit him each month during his illness. He passed away the day before I had planned to visit again so couldn’t say my final goodbye. He was a positive influence on my life with his values and beliefs. Being at the top of Everest and playing this song would be great. 4. Happy – Pharrell Williams – Simple. Reminds me of my wedding. It transports me back to an amazing and special time with family and friends. My wife and I revisit our wedding location in Northern Spain every year and with friends too. It’s become a date on the travel calendar. What tool would you not be without on your engagement journey? Reward Gateway's SmartSpendingTM App – Instant access to discounts and one we share with all new colleagues on day one. If you were climbing a mountain with a stranger, what could they rely on you for? They could rely on my calmness, leadership, focus and positive attitude to overcome obstacles to complete the challenge.